Unlike any place I have ever seen. Located in the Surat Thani province of Thailand, this is where you can get lost in the wild and forget all about the world. 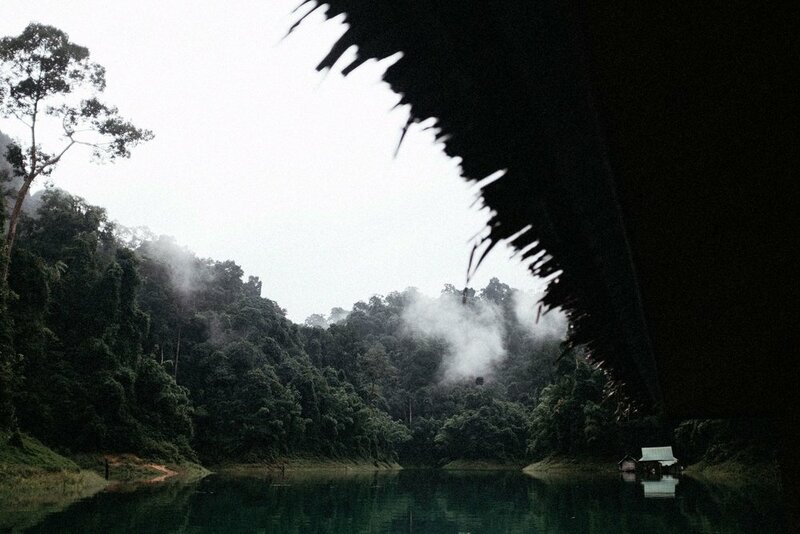 To get here, we flew into Surat Thani airport and drove about 2 hours to Our Jungle Camp. At the camp, we booked a guided tour to Cheow Lan lake to stay in these amazing floating bungalows. You can go without a guide, however, majority of the locals here do not speak English and there are no cell service or WiFi. Adventure at the lake. Get ready for a ride on the long-tail boat and witness one of the most beautiful views of limestone formations and dense jungle. During the ride to the bungalows (45 minutes), I can't help but wish that I was a videographer and own a drone. The lake itself is manmade but it is huge (45,000 acres). The water is emerald green almost turquoise like the color of deep ocean. Absolutely gorgeous. As much as I tried, I cannot capture the beauty of this place. Everywhere I turn, there are layers upon layers of trees. 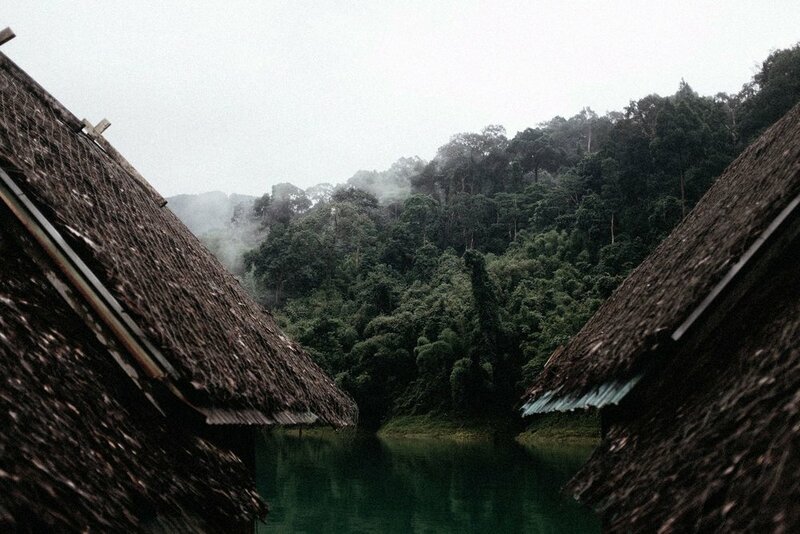 July is wet season and when it rains the jungle is covered with a thick blanket of fog. It was like heaven on earth. I can live here, forever.